Soybeans were part of my family diet when I was growing up but I hated it for reasons I can’t remember now. I did everything to avoid eating it. Eventually, my mum gave up trying to force feed it to me. Over the last few months, I’ve developed an unexplainable fondness for edamame beans – immature soybeans still in the pod. Subsequently, I began looking at the other derivative of soybeans, which can be used for hair care. This led to the discovery of soybean oil. In this article, we’ll cover soybean oil benefits for hair, soybean oil recipes for the hair, soybean oil side effects, soybean oil for hair loss and best brands of soybean oil for hair. What is Soybean Oil Made Of? Soybean oil is a vegetable oil extracted from the seeds of the soybean. The soybeans are cracked open, heated up and the oil is extracted via the solvent method with hexane. The oil is then refined. Soybean oil is dark yellow to light green in color. Sometimes the oil is also hydrogenated. However, this leads to the production of trans-fatty acids, an unhealthy component used in processed foods. While soybean oil is used for cooking in some countries, my recommendations for cooking with oils would be coconut oil, olive oil, sesame seed oil and red palm oil. They’re healthier and less processed. Is soybean oil god for your hair? Yes and here’s why. While soybean oil has been processed and doesn’t contain that many nutrients for the body, it is very useful for helping hair retain moisture. 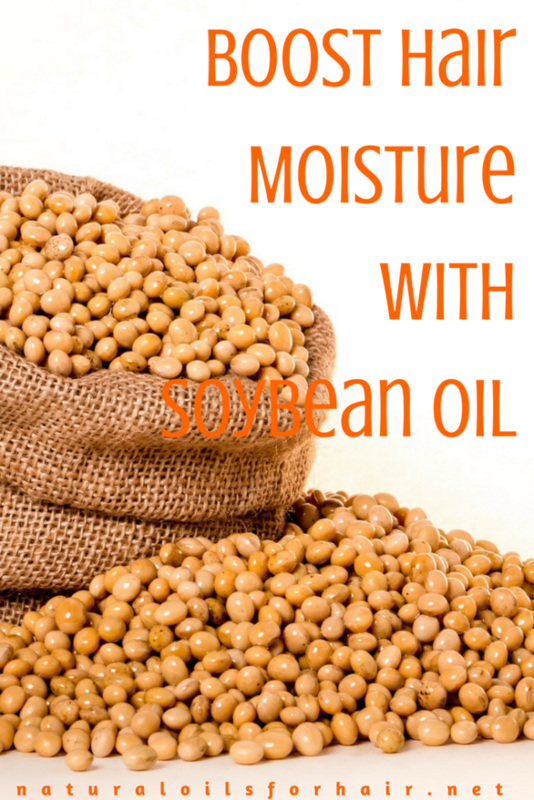 Soybean oil is full of essential fatty acids and vitamins that help boost hair’s moisture retention abilities. If you’re not allergic, you should experiment with soybean oil via the recipes shared below. Soybean oil is light, non-greasy and absorbs into the hair shaft quickly without leaving behind a residue. It’s one of the ideal oils to use for the LOC Method. The nutrients, such as carbohydrates, protein, manganese & vitamin K, and lipids in soybean oil helps the nutrients penetrate better into the hair and enhances hair treatments it’s mixed into. Over time, soybean oil improves hair look and feel. It smoothens the hair cuticle and gives hair a shinier appearance. A little bit of soybean oil is all you need for any treatment so expect the bottle to lasts for a while. It’s also an inexpensive oil that’s easy to find. Heat 2 – 3 tablespoons of soybean oil. Cover with a disposable cap and leave in for 30 minutes rinse out with warm water. Apply a leave-in conditioner and style your hair as usual. Include soybean oil as part of your LOC (liquid, oil, cream) method. Read The Difference Between LOC and LCO Method. Add 2 tablespoons of soybean oil and 1 teaspoon of camellia oil to your deep conditioner and proceed with your usual treatment. Use hair steaming devices so the treatment is more effective. This treatment will also add shine to your hair. Use soybean oil as one of the ingredients in your pre-poo. Read 5 Ingredients for the Best Pre-poo with Oils Ever. Soybean Oil vs Olive Oil for Hair. Is There a Difference? Soybean oil and olive oil have different profiles and don’t have the same effects on hair. 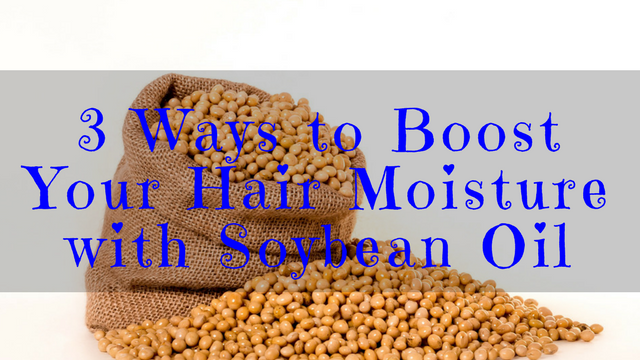 Soybean oil helps hair retain moisture more effectively. It can coat your hair, protect and lubricate your strands. On the other hand, olive oil is one of the oils that has been proven to penetrate deeply into the hair shaft. It softens and strengthens hair from within. You can use them together or separately as long as you understand they achieve different things when used on hair in specific ways. Read How to Achieve Softer and Shinier Hair with Olive Oil. If you are allergic to soy or peanuts, you should avoid soybean oil. 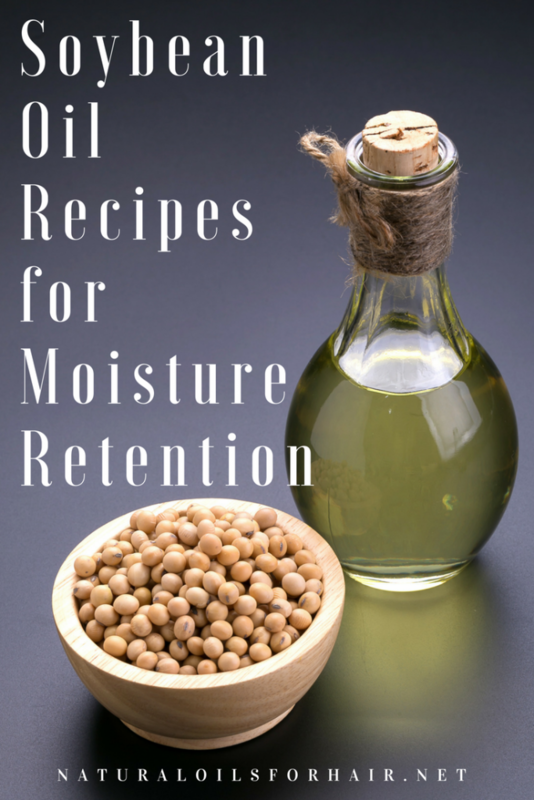 Visit the natural oils archives for more information on alternative oils that can help boost moisture retention. Pure soybean oil is the best for hair treatments as it’s free of pesticides and other chemicals. Ensure the oil you’re purchasing is non-GMO as genetically modified organisms (GMOs) is an issue in the soybean oil industry. Some recommended soybean oil brands include Premium Global Pure Soybean Oil, David’s Pure Virgin Soybean Oil and Natura Bona Pure Organic Soybean Oil. 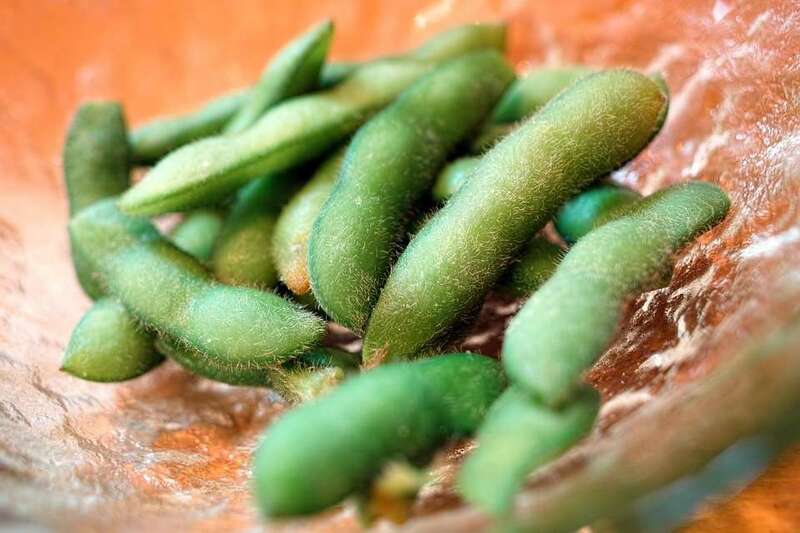 Consuming edamame beans as well is a good way to get protein in your diet, which can help boost your hair growth. You can get edamame beans in the vegetable section of your local grocery store. They’re easy to cook and serve as a nutritious and delicious snack at any time of the day. Did you enjoy the article? For more information on including natural oils in your hair care regimen for moisture, growth, and retention, be sure to have a look at How to Grow Hair Healthy & Long with Natural Oils. I’m a huge fan of edamame beans especially the spicy ones prepared with soy sauce. So delicious :p.
They are delicious but the beans are better natural with only a little bit of salt added.